Together, we collect and share 'ike and mana'o (knowledge and ideas); coordinate advocacy and education efforts; and use time and resources more efficiently. 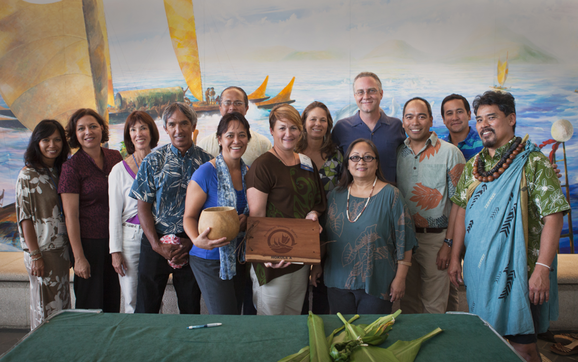 The Maui Nui Makai Network brings together community groups that work to protect and restore healthy coastal and marine ecosystems for the people of Maui Nui (Maui, Lāna'i, Molokai, and Kaho'olawe) using powerful place-based, collaborative strategies. ​The Network was started in February 2013 after community leaders from across Maui Nui came together asking: 'Do you want to form a network so we can connect and share lessons learned with each other?' Six community group Alaka'i Members and three Kāko'o Members now take part in the first Network of its kind in Maui Nui. ​​Current Network Alakaʻi Members include: Hui Mālama O Moʻomomi on Molokaʻi, ﻿Maunalei Ahupua'a Community Managed Mauka-Makai Area (CMMA)﻿ on Lānaʻi; Polanui Hiu in Lāhaina, Wailuku Community Managed Makai Area (CMMA) in central Maui, and Nā Mamo O Mū'olea and Kīpahulu 'Ohana in east Maui. To encourage each other, Network members meet at least two times per year around February and September.